The front of Rio Açai Bowl on Chester Avenue. 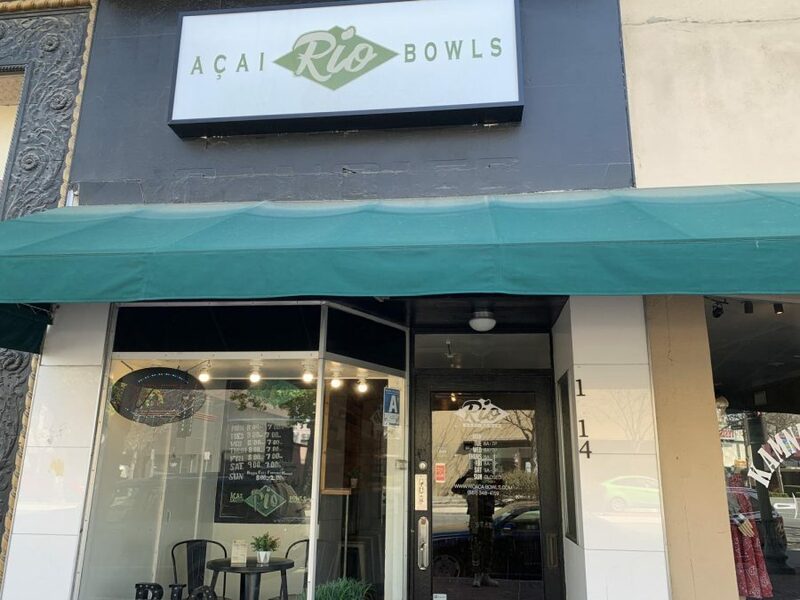 With three locations in Bakersfield, Rio Açai Bowl is Bakersfield’s local hot spot for açai and poke bowls. Açai is a berry from Brazil which is then blended into a thick smoothie like sorbet and topped with things such as granola, fruit, peanut butter, almond butter, coconut shavings and many other countless toppings, which in all makes for a tasty and healthy fruit-flavored bowl perfect for a breakfast meal. On the other hand, Poke bowls are the main dish of Native Hawaiian culture. “Poke” which in Hawaiian means “to slice or cut” is a reference to the chunks of sliced or raw cut fish which are then served atop rice and topped with seaweed and a spicy sauce, typically a sriracha mayo, think unrolled sushi. All of Rio Açai Bowl’s locations have a very peaceful atmosphere to them. In general, it would be a great place to meet up with an old friend or to study at on a more productive day. If you happen to ever want a different base sorbet besides açai they have a pitaya sorbet, more commonly known as dragon fruit, as the alternative for their açai sorbet. Rio Açai Bowl is the perfect alternative to an unhealthy lunch or breakfast options. 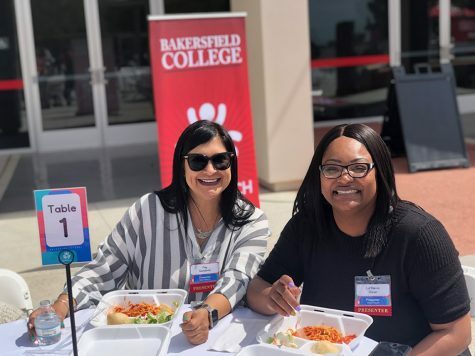 With a menu of bowls ranging from sizes small, medium and large, the prices range from $6 to $11. Some of their most popular bowls are the Brazilian, Powerhouse, and The Rio. The Brazilian is made with granola, banana, and strawberry. The Powerhouse sounds like the perfect cool down snack to have after a hard day at the gym. It’s packed with açai and topped off with granola, banana, strawberry, peanut butter, and chocolate whey protein powder. The Rio consist of granola, banana, strawberry, blueberry, coconut shavings and is drizzled with honey. While Rio Açai Bowl falls a little more on the expensive side based off of the prices of their Açai and Poke bowls, their bowls come with health benefits. 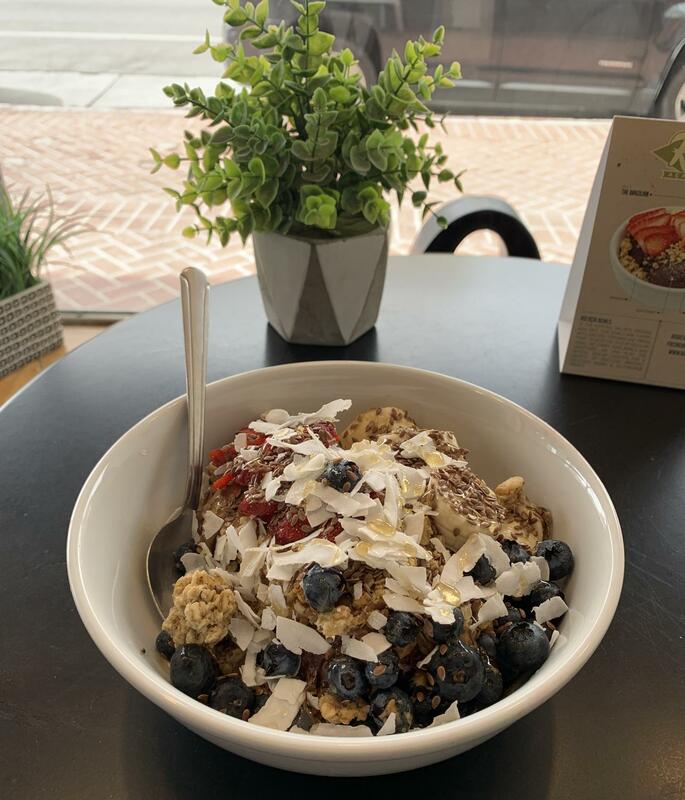 With all locations offering quiet and peaceful environments, and their health-conscious açai bowls offering vegan, gluten-free, non-GMO, and organic food ingredients, the cost is in the details. They strike up the perfect healthy alternative for you to ditch that sloppily made McDonald’s Egg McMuffin that people spend $3.99 on when heading to work. With their açai and organic ingredients, their bowls are full of wholesome goodness. People could never go wrong with one of their sorbet-based bowls. The “Paleo,” an Açai bowl topped with blueberries, coconut, granola, banana, and strawberries.